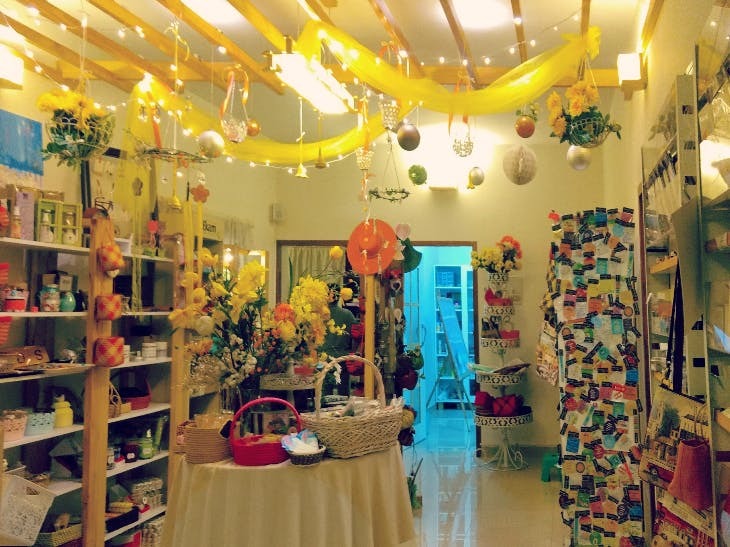 Have You Visited This Quirky Gifting Destination In Koramangala Yet? This place is a fun destination for family, and they sell gifts, art and design. This place is just perfect for those people who are on the look out for personalised gifts or learning a new art form, be it for children or adults. And not to forget the umpteen sets of quirky gift assortments they have, ranging from cute toasters to something as specific as a handbag featuring Paul Fernandez’s old Bangalore painting. If you are a budding artist or amateur DIY-er and looking for a place to market your creative treasures, then there you go! They encourage and display the work of new artists. As an addition to all this, they also have an art & craft supply store too. What also tops my reason to visit this place is café it hosts, which runs on a pay-what-you-want concept! It stocks tasty home-baked goodies and it is also used to conduct baking workshops. Located in Koramangala's fifth block, if you were to stroll in fifth cross anytime, this place wouldn’t go unnoticed, given the quirky touch it has. The founder, a student of Christ College, Bangalore says Be Thoughtful began as a stall selling bookmarks at college, and has now grown into the design and gifting space.